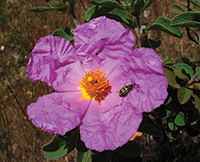 FORA has pursued the Fort Ord Habitat Conservation Plan (HCP) for over 19 years. In FORA’s first effort, FORA requested the U.S. Army combine a 1996 Habitat Management Plan (HMP) Implementing/Management Agreement with the Army’s draft HMP. The Army chose to decouple FORA’s effort with its own and received approval for its Habitat Management Plan in 1997. As a result, FORA has developed and processed the draft Fort Ord HCP along a separate track. Completing the HCP will allow U.S. Fish & Wildlife Service (USFWS) and the California Department of Fish & Wildlife (CDFW) to issue Federal and State incidental take permits. Such permits are necessary to implement the Army’s HMP on non-federal lands and to meet Federal Endangered Species Act (ESA) and California Endangered Species Act (CESA) requirements. The HCP identifies and addresses allowable and/or required HCP covered activities through three general and overlapping land use categories: designated development areas, Borderlands, and Habitat Management Areas (HMAs). The HCP will be coordinated by a Joint Powers Authority: the Fort Ord Regional Habitat Cooperative (Cooperative). The Cooperative will include the following members: FORA, County of Monterey, City of Marina, City of Seaside, City of Del Rey Oaks, City of Monterey, California State Parks, University of California (UC), California State University Monterey Bay, Monterey Peninsula College, Monterey Peninsula Regional Park District, Marina Coast Water District, and the Bureau of Land Management (BLM). The Cooperative’s members will also sign an Implementing Agreement to ensure that each party is clear about implementing funding and enforcing its obligations under the HCP and the ESA and CESA permits. The Cooperative will secure the services of an appropriately experienced habitat manager(s) via a formal selection process. FORA has provided upfront funding for HCP preparation and set aside for interim habitat management at the UC Fort Ord Natural Reserve (FONR). 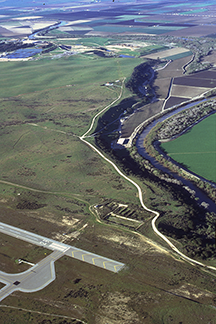 In addition, FORA has dedicated 30 percent of funds collected through its Community Facilities District (CFD) Special Tax/Development Fee to build the UC FONR and Fort Ord Regional Habitat Cooperative Endowments, which will fund required habitat management responsibilities and HCP-required actions in perpetuity once the HCP is adopted. Based upon the HCP cost model prepared by FORA’s HCP consultant (Economic Planning Systems) and reviewed by the regulatory agencies, habitat obligations are projected at ±$46.6M (FORA CIP Fiscal Year 2017-2018, Table 1B, Line 6, column 4). Estimated Year End Balance for the HCP Set Aside is $11.4M (FORA CIP Fiscal Year 17-18). FORA forecasts setting aside $8.5M by 2020 with an additional $26.7M by 2028. The current draft HCP includes a cost and funding chapter, which provides a planning-level cost estimate for HCP implementation and identifies necessary funds to pay for implementation. Concerning the annual costs necessary for HCP implementation and funded by FORA, of approximately $4.4 million in annual costs, estimated in 2016 dollars, approximately 67% is associated with habitat management and restoration, 16% for program administration and reporting, 9% for species monitoring, and 8% for changed circumstances and other contingencies. The HCP is expected to be released for public review by years end 2018.